Vinegar is a great inexpensive cleaner for most kitchen floors. It is non toxic, and it is a great natural disinfectant and deodorizer. I love using homemade cleaners that cost less and clean great too. Vinegar can be used to mop linoleum, tile, vinyl, and wood floors. 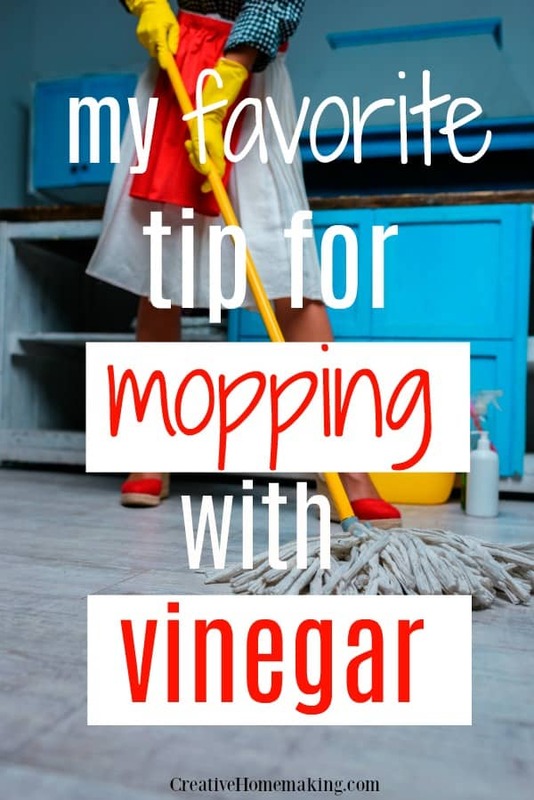 You can use this vinegar solution with most any kind of mop. Here are The 5 Best Mops for Kitchen Floors. Sweep your floor first to get rid of any excess dirt. 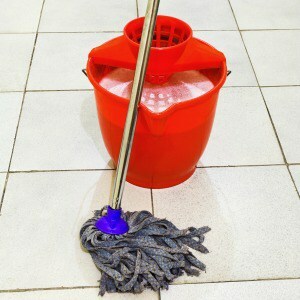 In your mopping bucket, add 1/2 cup white vinegar to 1 gallon warm water. You can also add a few drops of your favorite essential oil to the vinegar mixture. Vinegar can be used to clean by itself, but it can harm the finish on your floor if not diluted with water. Mop a small section of the floor at a time, rinsing the mop out between sections. 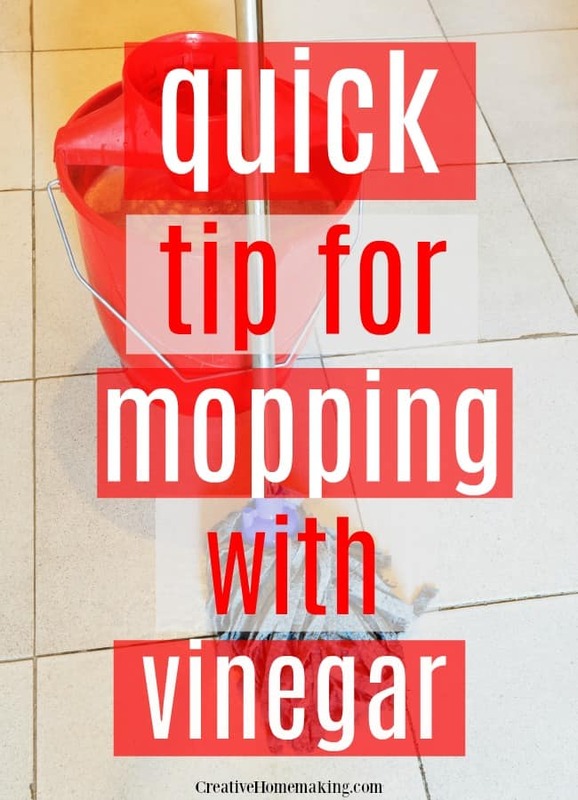 There is no need to rinse the floor after mopping, and the vinegar will leave no lingering odors. 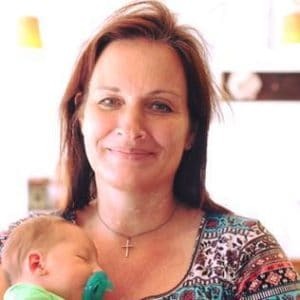 Here are my favorite 5 Quick Mopping Tips.